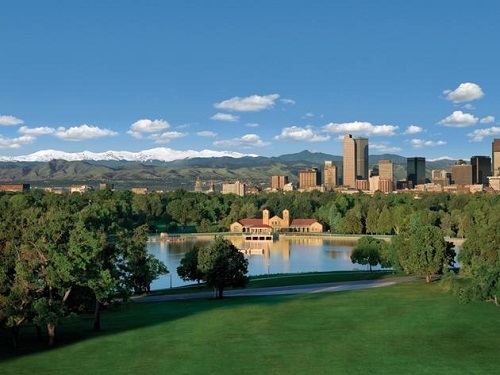 Washington Park, Denver Colorado will host the 2016 9 Wicket Croquet Nationals this June. This year we will be playing the National 9 Wicket Championship in Washington Park, in THE MILE HIGH CITY, Denver, Colorado. The tournament is scheduled for June 16-19, 2016. This is a beautiful time of year to be in Denver and a great kickoff for a summer trip out West. Matt Baird, mrbaird@swbell.net , 918-760-7226,will be Tournament Director .There will be Championship singles and doubles play and First Flight Singles. This year we hope to get many new players from the local area on the courts for our open First Flight. Thursday, June 16th will be a setup and practice day. 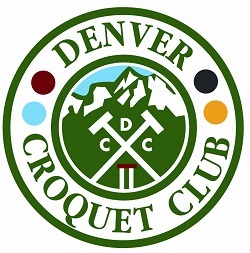 The Denver Croquet Club is comprised of men and women of all ages and competitive levels. 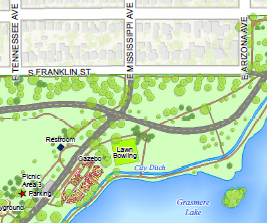 It was established in 1983 and has it’s home Lawn on the Lawn Bowling Green in Washington Park. This Bowling Green was built in 1924 and is still home to the Washington Park Lawn Bowling Club. Many members have joined for the social and fun that croquet provides. The club also has players that compete nationally and internationally in tournaments. The Lawn is in Washington Park, Denver Colorado. Enter the park on the East side at South Franklin St & E Mississippi Ave. The Lawn will visible on your left after crossing the first street in the park. Additional free parking is available at South High School at S Franklin Street & E Louisiana Ave.